I am delighted to advise you that the 9th Minority Mentoring Picnic will be held on Saturday, November 10th at noon at Amelia Earhart Park. 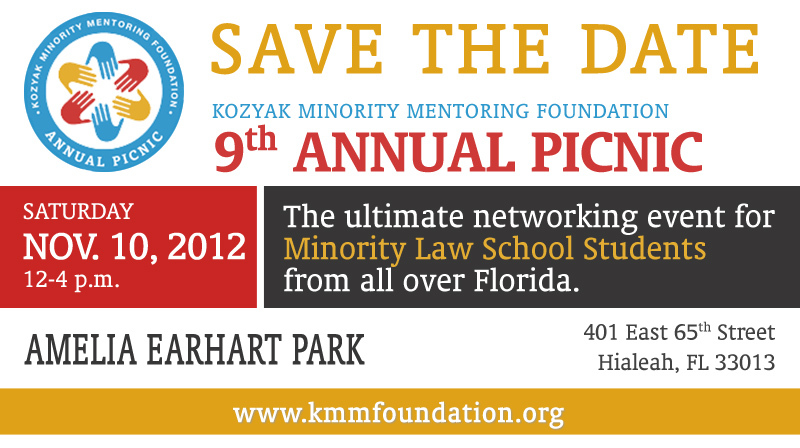 More details will be posted on our website www.kmmfoundation.org in the coming months. Please mark your calendars and plan to attend the 9th MMP. 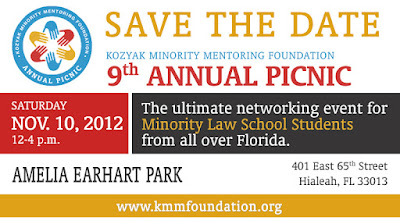 We will make every effort to make it the best picnic ever with more emphasis on the purpose of the event: matching every minority student in Florida with at least one judge or lawyer as a mentor.